← Don’t you just love a show? Well, I was on a work trip to Columbus last week, during weather, and for a while it felt a little like Columbus was the new Gilligan’s Island,….we were stranded, flights were cancelled, next available flights were two days later….clearly a time when either alcohol or chemistry would be needed to calm the nerves. By the time we actually boarded a flight, I was frazzled, I was like frazzle rock, or frazzle wrecked. But I pulled out my hexies and started to sew. 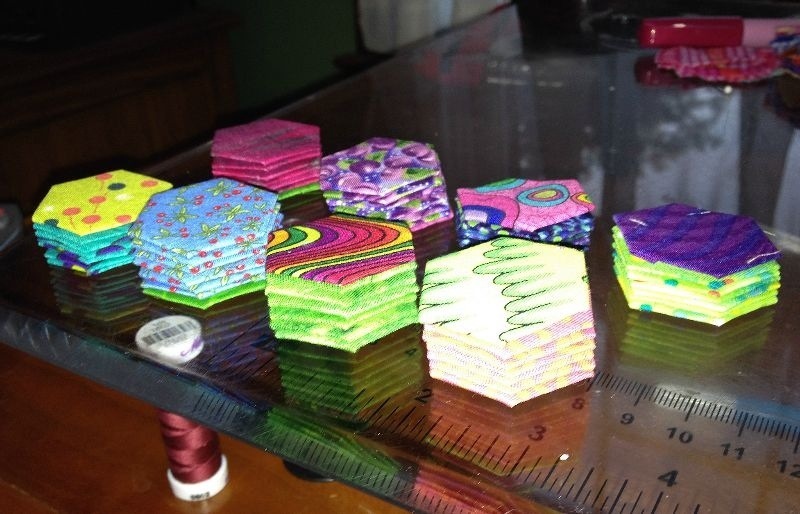 The hexies were with me because I had no other handwork that was in a state to travel. But once again, handwork saved me on the flight from shaking the whole way from Ohio to NJ. 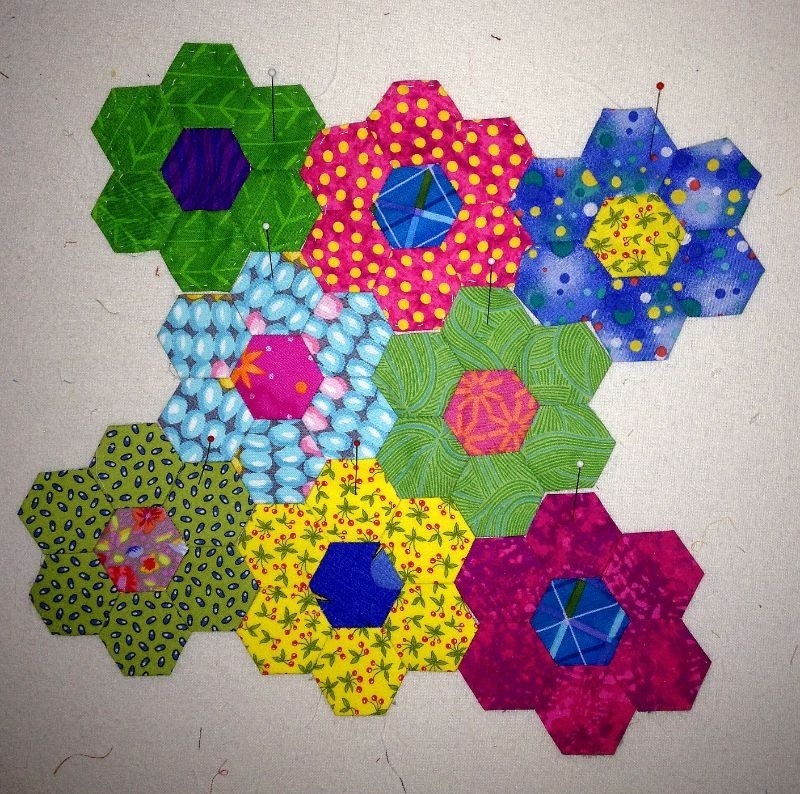 And now I just might be a little hooked on hexies. Although the man next to me had a snarky “arts and crafts” comment when I pulled out my glue pen and started prepping more flowers…what. Ev. But I have so questions….do I just start sewing my little flowers together as I finish them so I can re-use the papers, or do I need a couple of packages of papers to be able to really make this quilt grow? I guess I will need to pay more attention, I bet I’m not the only one at the airport working on paper piecing! This entry was posted in Quilt in progress. Bookmark the permalink. Cute flowers! I’d start putting them together – much easier on the go than facing it all at the end. After a while, as it starts to grow, you can choose your colour options too. Have fun – looking forward to progress reports! Great flight distraction method!! Love hexies too. I’m working on Landscape with hexies now. Love your work. For landscaping, I make them all first and put them on a design wall and then start piecing. If I were doing flowers, I’d probably finish each flower as I went. Depends… Have a good time with your hexies. You could have used your glue pen to seal the snarky man’s lips! !